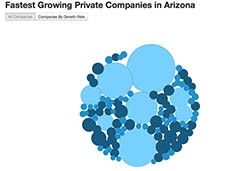 Click on the image to explore Arizona's fastest-growing private companies, according to Inc.com. TEMPE – Base Commerce doesn’t have a sign on its office building, but that doesn’t bother John Hughes, its president and co-founder. That’s because the company and its 17 employees have outgrown their space and are moving soon to larger quarters. Base Commerce, which provides electronic payment solutions to software companies nationwide, recorded $12.5 million in revenue for 2013 and has achieved revenue growth surpassing 10,000 percent over three years, according to a recent ranking of fastest-growing companies by Inc.com magazine. Hughes’ company, founded in 2008, ranked 23rd nationally and was one of six Arizona firms in the top 100. Instead of marketing directly to merchants and buyers, Base Commerce found a niche market providing software companies with specialized services for developing payment systems. “I think we’ve hit a sweet spot in our industry,” Hughes said. He said Arizona’s relatively inexpensive cost of living helps his company attract employees and control payroll expenses. Its relatively low tax rate and more affordable commercial property prices make it easier for a startup like his to get off the ground. According to a recent study by JLL, a commercial real estate brokerage firm, Phoenix has the 10th most technology workers among 34 domestic technology markets in America. The average asking rent is $25.08 per square foot, compared to $60.09 in San Francisco and $40.44 in Silicon Valley. • Ethology of Phoenix, a digital marketing agency (No. 75, 4,219 percent growth). David P. Schaeffer, a retirement planner with American Retirement Advisors, credited growth among those approaching and reaching retirement age for his company’s success. Schaeffer said the company’s growth rate slowed somewhat in 2013, but he said he still expects to see 200 to 300 percent annual revenue growth for the next five years. Growth is particularly strong among the technology companies. Of the 104 Arizona companies listed among the 5,000 in Inc.com’s ranking, about a quarter are in technology-related industries. Steven G. Zylstra, CEO of the Arizona Technology Council, said Arizona’s innovation and technology ecosystem has grown at an astonishing rate over the last five years. “We’ve grown from almost no incubator to 40 or 50 of incubators, co-working spaces and accelerators,” he said. Apart from the favorable business environment, statutory incentives, including tax credits and grants targeting technology startups, have been introduced to help entrepreneurs start and grow businesses, Zylstra said. “We are working to knock down the obstacles, to create an environment that is conducive to their growth and expansion,” he said. Looking toward the future of Base Commerce, Hughes said his company’s growth rate will slow, but he will continue shooting four double-digit annual revenue growth. “Hopefully we’ll continue to focus on continue growth and profitability,” he said. 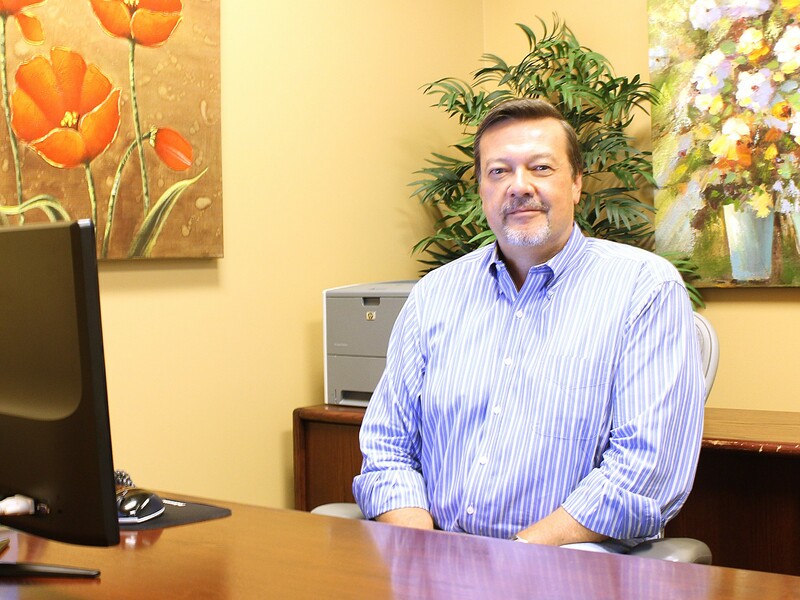 John Hughes is president and co-founder of Base Commerce in Tempe, which provides software companies with specialized services for developing payment systems.